What constitutes an effective work space in schools? What makes an effective work-space? An image of an open office from an article describing how open space offices are not effective work-spaces above an image of a pretty standard open classroom described as a "21st century learning space". So why is an open plan seen as awesome for education but crap for business? The juxtaposition of these two posts on LinkedIn made me question, again, why we don't attend more to designing spaces that accommodate the variety of tasks learners engage in throughout the day. A big open classroom is great for large group activities, but if I'm supposed to be writing creatively, I (personally) want a solitary space like a cubby or study carol and a clipboard to take notes and record ideas. But I'll want to get up and wander to let ideas percolate, or stare out the window while my mind processes things. If I'm supposed to be working with a partner, we need a larger table for our stuff, some chart paper and wall space. Somewhere where we can talk without disturbing other or being disturbed ourselves. If I'm supposed to be reading, I want a comfortable chair in a dark-ish room save for the reading lamp. A pot of tea would be nice too. In the course of a day we ask kids to do all these things with 20+ other individuals in the same space at the same time. Flexible spaces have been on my radar and part of my practice for quite a while. This past October I gave my classroom a big redesign to create spaces that reflect what Thornberg refers to as Primordial metaphors for cognition. The idea is that we need spaces that promote, accommodate, and support different cognitive acts. Within our classrooms, some of us have carved out niches for different purposes, but we still design schools, for the most part, as a series of similarly sized and equipped rooms within which everything takes place. Think about designing schools more like hotels. There could be a series of various sized work-spaces for individuals or small groups to work, a lobby for quiet reading, a breakfast space for lively discussions, and a handful of large conference rooms for bigger groups, and a grand ballroom for whole school gatherings. With the support of an academic adviser, students could plan out their learning goals, identify needed resources and expertise, then move through the school spaces in ways that meet their needs. Schools would still be staffed with learning experts and content experts who could be accessible to any student in the building. Changing infrastructure like this is cost prohibitive, of course, but we can re-imagine the spaces we do have. It is possible to carve out niche spaces within a single school room and teaching teams can combine student groups and specialize their assigned spaces to encourage and support different kinds of cognition. One of the incentives for businesses to move to open offices is the cost savings that comes with a reduction in the need for floor space, and resulting lower rent. Here's something fun to think about too - what if kids were out in the world more frequently, like a work day in a local park, a library, a university, shopping mall. With re-imagined schools, could we do with less space if we had greater access to transportation. I don't know the economics of replacing hard classroom spaces with transportation and using community spaces, but it would be fun to explore those ideas. In the end, we have what we have, and we try to make it work. My school has purchased bean bag chairs for the hallways where students can escape the crowd and noise of a classroom, or pull a few together to collaborate. Our library has a number of tables and computer workstations for small group and individual work. It is possible, with some thought and understanding of the primordial metaphor, to carve out functional spaces within our existing schools. "No, you GET to go!" For several years I have been exploring the Edcamp format and learning about Open Space Technology and unconference-style professional development. Personally, I believe there is tremendous potential for the format to build more robust professional networks, propagate ideas through an organization, and contribute to individual professional growth. In 2016, some brave colleagues agreed to use the Edcamp format for a district PD day bringing several schools together for a day of open conversation and collaboration. Part of the challenge was the captive audience. The rapid and widespread adoption of Edcamps around the globe could be attributed to the self-selected, highly motivated individuals who volunteer to give up a Saturday to pursue professional development. The Edcamps we were proposing, on the other hand, would be attended by educators who were required to be there. The preparations and planning that occurred beforehand are the subject of an upcoming article. The data gathered at these events are a rich trove of information which is illuminating the affordances of the format, the things that participants value, the skills needed to fully participate, and how organizers need to structure the experience to maximize value in the day for the participants, for the organization, and, most critically, for the student population being served. This article represents a first wash through the data and explores participant experiences, highlights the salient elements of an Edcamp for participants, as well as opportunities for improvement based on participant suggestions. In light of the Edcamp Foundation's recent (4 months ago, at the time of this writing) announcement of their Edcamp District Initiative, these findings are particularly timely. Edcamp unconferences are a non-traditional participant-driven form of educator professional learning. Although Edcamp participation has typically been voluntary, this mixed-methods paper presents participants' (N = 252) perceptions regarding their experiences at Edcamps run by their school districts and where their attendance was required. The majority of participants rated their Edcamp experiences positively. Many participants compared the content and format of their Edcamps favorably to the professional development available to them. Participants also offered feedback regarding how their Edcamp experiences could have been improved. We discuss these results and their implications for the Edcamp model and educator professional learning. The Edcamp model is creeping into districts looking to offer PD experiences that leverage the wisdom of the group, that facilitate the exchange of ideas, and that build professional networks throughout the organization. I've been involved in a few such events and have done some preliminary research on the topic. Now, a colleague and I are gathering data in a more formal and focused study of edcamps where attendance is mandatory. Do the practices we adopt reflect the values we espouse? Our practices should reflect our values, but they are not, themselves, our values. The way we do things can change, indeed, they often have to change. Values, on the other hand, are closer to the head and heart and are less likely (but not impossible) to change. If you’re going to hang on to something, hang on to a value over a practice. Your values guide how you approach a changing world and new ideas. The practices you adopt should embody the values you espouse. Appreciating the difference between values and practices can alleviate some of the fears associated with change; we are not giving up who we are, nor what is important to us when we shift our practice. Rather, we are exercising our values in a different, possibly more effective way. Argyris, C. (1993). 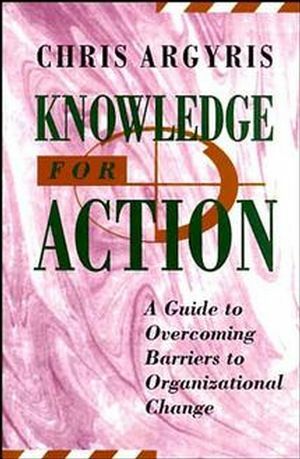 Knowledge for action: A guide to overcoming barriers to organizational change. San Francisco, CA: Jossey-Bass. Collaborative Learning - This web site offers an in-depth exploration of what collaboration is, how it works, how to implement it, and some resources for getting started. Ideas Into Action: Promoting Collaborative Learning Cultures - This PDF document explores the value of collaborative learning, offers up a selection of research that supports the approach, and provides a framework and strategies for implementation at a systems level. Seven Essentials for Project-Based Learning - This article describes some of the essential elements of project-based learning (PBL). Teacher's Guide to Project-Based Learning - This PDF is a comprehensive guide to PBL that includes examples, the research base, strategies for implementation and integration as well as forms to guide planning. Online Resource for PBL - This website has a wide variety of resources for designing, sharing, implementing, and supporting PBL initiatives. Getting Started with Student Inquiry - This PDF offers a framework for understanding inquiry describing what one would observe from students and teachers. Inquiry-Based Learning - This PDF is part of the same series as the item above. It describes the rationale for using inquiry, the key concepts, and the guiding philosophy.It also offers very practical implementation strategies including conversational phrasing that evokes deeper thinking. There are two aspects to self-regulation: one is the individual's comprehension of their own physical states and their ability to manage it; the other is the individual's management of their own efforts in terms of purpose and efficacy.The two are intertwined but it is helpful to appreciate each individually. Self-Regulation.ca is a website that focuses on the physical aspects offering explanations and resources for understanding and developing physical self-regulation. Calm, Alert, and Learning - This PDF explores the impact of self-regulation on learners along with some frameworks for understanding the component parts of self-regulation. Encouraging Self-Regulated Learning (SRL) - This PDF surveys the research into the cognitive aspects of SRL and offers specific skills that can be developed to increase the efficacy of an individual's efforts. Thinking Metacognitively - This PDF offers a brief overview of metacognitive practices, some strategies for implementation, and phrasing that evokes metacognitive thought. Metacognition - This web page defines, and offers a research base for pursuing metacognitive instruction. It also outlines a framework for implementation and links to external resources and supports. 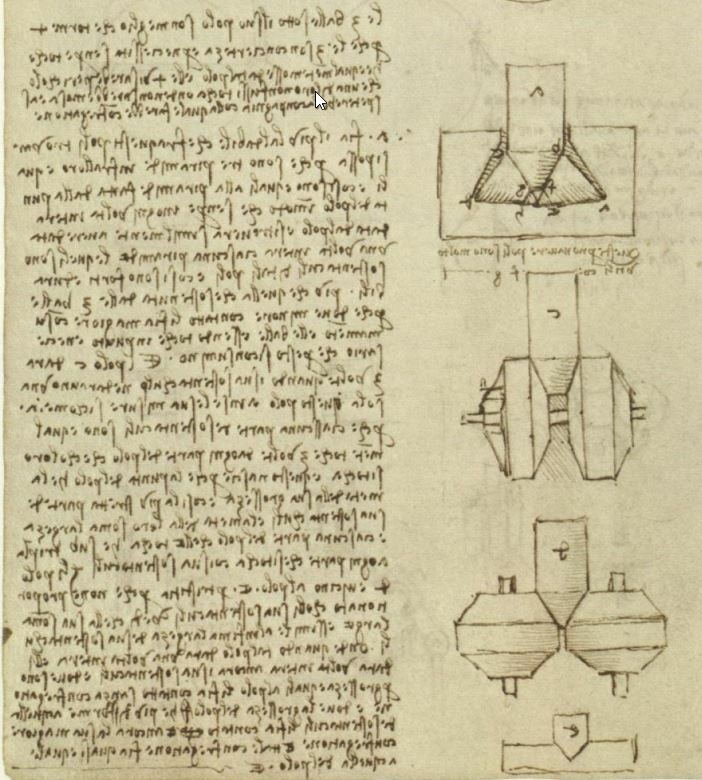 Download the document using THIS link. My Great Aunt Doris was a school teacher. She has long since left us, but she wrote a short booklet of family memories back in 1983. One of those recollections, titled, "School and Careers", always struck me as both funny and sad and I have always wanted to share the story with others. Here is a little video I made of the story - they are her words. We certainly have come a long way in how we treat children.